Free shipping to United States with $50 purchase from QuirkynBerkeleyCards. See item details below for sale terms. Sorry, US domestic purchase only. Your purchase will be sent via Priority shipping. Nice item. Good seller. Very fast delivery! I have been buying theses cards for a year! The artwork is beautiful and touch that heart spot that "bigbox" store cards just can't come close to! INTERNATIONAL - I do ship internationally. I use USPS First Class unless Priority Insured is required. If Priority Insured is required, I will invoice separately for that cost. Any customs fees, taxes, tariffs, duties, etc. that may be incurred at the time of delivery would be at the discretion of your country's tax regulations and are payable by the buyer. For any additional information refer to your local customs agency. Returns will not be accepted due to customs fees. I will typeset your brief message to the recipient and place it in the inside of your card. What do you mean by dimensional? I make my cards dimensional either by the way they're cut and folded, or with foam adhesives. What do you mean by embossed? I either heat- or dry-emboss many of my cards to add dimension. You can touch the card and feel that it has a raised surface. 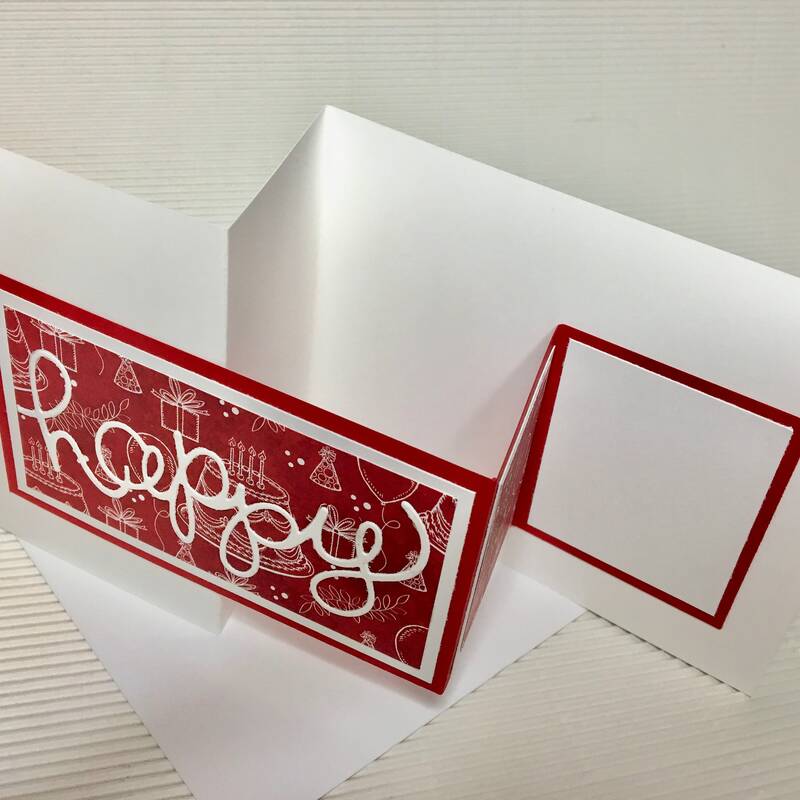 Heat embossing requires the use of a special ink and powder and a heat tool. Dry embossing requires the use of a die cut machine and special embossing folders. What do you mean by card layers? Most of my cards have more than one layer. They are frequently matted with one or two colors of 80 lb card stock along with a 100 lb card base. The card stock I use is a solid-core, recycled mix. Are your card stocks recycled? The card stocks I use are a recycled mix, either 80 or 100 lb solid core archival.